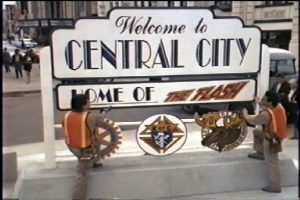 The modern Flash TV series is a marvel, but a lot of elements from the show come from the original Flash TV series which aired in 1990. 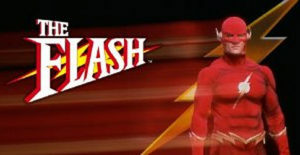 The show starred John Wesley Shipp as Barry Allen/The Flash, and of course, he has had a presence on the new series as Henry Allen and Jay Garrick. Other veterans from that series who have shown up on the new show have been Mark Hamill (whose Trickster pre-dated his Joker by several years), Amanda Pays (Dr. Tina McGee), Alex Desert (Julio Mendez), Corinne Bohrer (Prank), and Vito D’Ambrosio (Anthony Bellows, the former Mayor on the new show who was a cop on the original). The original Flash series was developed by writer-producers Danny Bilson and Paul DeMeo, who originally had the Flash as part of a larger DC series called “Unlimited Powers” that they were directing. At the time, it was one of the most expensive series CBS had ever had. The team of Bilson & DeMeo also had their hands on a few other comic book properties over the years, including The Rocketeer movie and the first Human Target TV series. 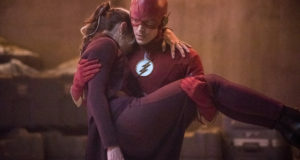 There was talk at one point about getting the pair to write for the new show at some point but it never transpired; they did, however, return to The Flash with a brief comic book run after the Infinite Crisis event for DC Comics. Sadly, Bilson has Tweeted this morning that his “brother, friend, and creative partner in all things” has passed away. No details about DeMeo’s passing have been revealed as of yet. Current Flash writer Sterling Gates — who was a co-writer on the Flash episode “The Elongated Knight Rises” which had many callbacks to the original show — posted his own tribute on Twitter this morning. “I had the honor of meeting Paul DeMeo twice: once when he was writing Flash: The Fastest Man Alive and once at the ’90s Flash Anniversary event at Cinefamily. His contributions to all things Flash are immeasurable (not to mention The Rocketeer!). Rest in peace, Paul,” Gates said. John Wesley Shipp himself has also posted a tribute. We will share more information when and if it becomes available. In the meantime: Thank you, Mr. DeMeo, for some really fun adventure. 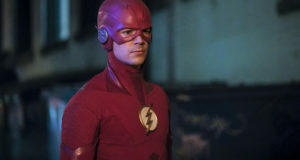 Next: The Flash “Enter Flashtime” Photos: Jay’s Back!